The Golden State Warriors lost their second game in a row for the first time since April of last year. In a tough defeat against the Chicago Bulls, Steph Curry is only 4 of 31 3-pointers in his last 3 games, but with his two 3’s Thursday night, he did manage to pull ahead of Kobe Bryant in career 3-pointers. He’s now listed #11 on the list. Bulls 94, Warriors 87. The New York Jets are clearing the decks to bring in younger players. 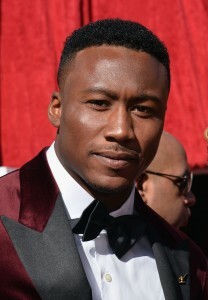 Their latest casualty is 33 year old wide receiver Brandon Marshall. Marshall was voted team MVP for the Jets in 2015 but had a disappointing 2016. Marshall wrote in his Instagram account, “My teammates, such a great group of guys whom I will miss like #Crazy “. Quarterback Colin Kaepernick will no longer be taking a knee during the National Anthem. By not standing during the anthem, Kaepernick felt his protest ignited a positive discussion of social inequality. Many others felt his protest created a divide in the League and caused controversy.